One of our very favorite pastry chefs has a few new fun plates to satisfy your sweet tooth this summer. Jill Bates at Fearing’s located in the Dallas Ritz-Carlton in Uptown is cooling off with seasonal fruit, and of course chocolate in a an even cooler way. Bates enjoys fresh, seasonal items such as peaches and it comes out in one of her dishes presented today. A full year ago we spoke with Fearing’s Jill Bates. 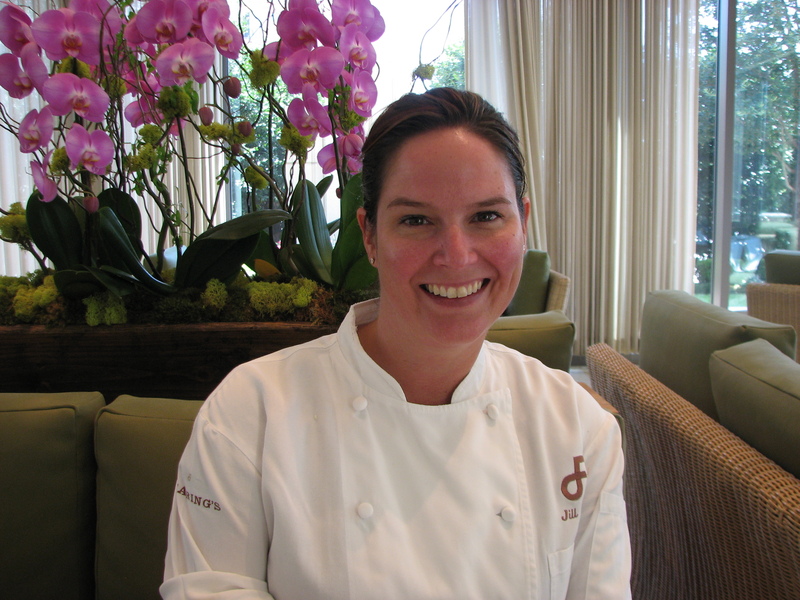 Jill is the spunky pastry chef that is continually coming up with unique and artistic desserts that keeps her sweet-toothed guests satisfied. 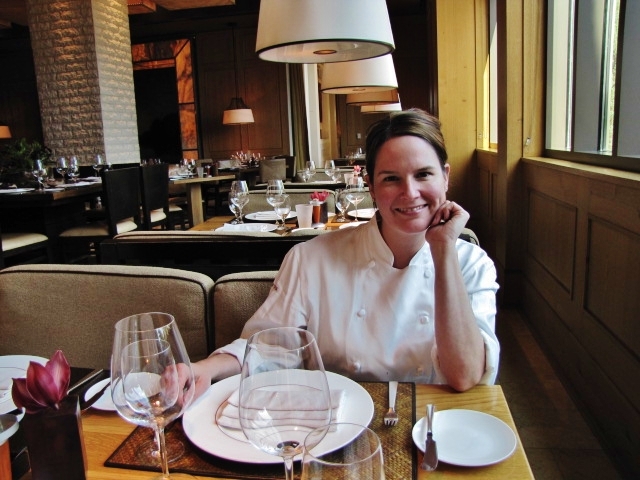 We stopped in Fearing’s at the Dallas Ritz Carlton recently to find out what she had planned for the summer’s menu. Yesterday we implored you to grab your tickets for this Sunday’s event where you can bid on your favorite chef and a special package they have lined up for you. Today we learn of a few more interesting packages that you might wish to bid on this Sunday, June 3, 2012.